If you’ve bought a new electric shaver or you’ve recently switched from manual razor to an electric shaver and you’re having a bit of difficulty using an electric shaver and you want to know how to use an electric razor without irritation, then you’re at the right place. Electric shavers these days are very effective and they are as much effective as the regular razor blade in terms of having a closer shaving experience. It’s way more handy to use an electric shaver as compare to the manual razor. However, if you are a new user then you might have some difficulties to get used to it. If you follow the right procedures it will definitely be going to improve the user experience. In this article, we talk about some good procedures and steps that if you follow them, you will get more advantages of using an electric shaver. It’s a good habit to read the user manual of any product that you purchase and the same advice will go for the electric razors. Each electric shaver is different from other and every brand of shaver will provide you the user manual that has the proper information to use it. Therefore, it is good to go through the instructions that are provided by the manufacturer, even though you have been using the cordless electric razor for a very long time. Little variations in the instruction can make a great difference in the results. Some individuals shave first thing right after they wake up early in the morning. You must know that it’s the time when it is difficult to get a close shave. In order to get the desired results, you must not shave right after you wake up and wait for at least 10 to 15 minutes because the face is a bit puffy when you wake up and therefore, it’s a bit hard to get excellent results. It’s always good to shave with the grain using any type of shaver which means to shave in the direction of the hair growth. It will reduce the redness or irritation if you shave with the grain using both manual razors as well as electric razors, but with some shavers, you may get good results while shaving against the grain. If you have sensitive skin that is prone to irritation then it is advised to use shaving gel, cream or shaving foam and rub for around 1 minute on your face and neck to make the beard softer to avoid redness or irritation. Use warm water instead of cold water for a wet shave that will open the pores of your skin and soften your facial hair and make it easier to cut hair closely. Braun electric shavers provide a good range of wet and dry razors. In order to have a dry shave, it is advised to dry your face completely or never wash your face before dry shaving. Facial hair is cut easily when it is stiff and dry. If you wash your face before you start dry shaving, then make sure that you completely dry it. You may also use pre-shaving oil or lotion when you dry shave in order to make the hair stiff & upright so that it can easily be cut. Maintenance of your shaver is very important. After every shave, you must clean your razor in order to get good results. 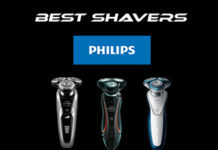 Top electric shavers for men come with a cleaning and charging station that will automatically clean your razor just by placing it in the cleaning station after shaving. Additionally, it is recommended to replace the shaver head and foil as per instructed by the manufacturer for better results. Replacing parts of your razor as recommended will help increase the performance and life of the electric shaver. Foil shavers are made up of sharp oscillating blades that are covered with a fine layer of mesh-like metal. The foil captures the hair which is then gently cut by the blades under the foil. You must have short stubble if you prefer shaving with a foil shaver because foil shavers are not good at cutting longer hair. If you do not shave on daily basis or shave after a couple of days or more, then you would need to trim the beard first with a trimmer before you shave. 1. Shave against the direction of the facial hair growth. This step is the most crucial if you’re shaving with a foil shaver. Identify the direction of your beard growth and you need to shave against the growth of your beard. If you are not able to shave against the beard growth properly you will not get an excellent close shave. Practice makes you perfect and when you will do it on regular basis it will become quite easy for you. Hold your shaver at an angle of 90 degrees so that the electric shaver stays in contact with the facial skin and gives you a comfortable shave. You will hold the shaver with one hand and use your other hand for stretching the facial skin that will make the facial hairs stand, this way the hairs can easily be captured by the foil and get cut without causing irritation. Shaving the chin and the jawline can be a bit tricky. You need to move your head a little towards the back that will allow your chin to raise a bit so that you may easily shave. You can simply use longer strokes on your cheeks since the hair growth pattern is the same on the cheek area. However, you need to use shorter strokes where there are different patterns of hair growth on the face. If you have a sensitive skin, then you must avoid using pressure on the shaver while shaving. The latest foil shavers like Braun Series 7 and other advanced models of Braun shavers does not require you to put extra pressure to get a close shave. However, the lower models of Braun shaver might require you to press a little while shaving for better results. Every skin type is different and you should try and see what works best for you. If your beard is light or your facial hair is not very thick, then there is no need to put extra pressure. putting too much pressure can cause nicks and cuts, therefore, you need to be a bit careful while experimenting with that and use less pressure in the beginning. You must clean your shaver after each use, especially after having a wet shave. It is important to get rid of the shaving foam or gel and the clogged hair from the shaver’s head for better hygiene and performance of the shaver. The rotary shavers have round blades that spin in a rotating motion under the metal heads of the shaver. 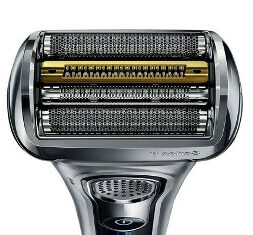 The round metal heads capture both short long hairs and then further cut off closely by the rotating blades inside the shaver’s head. 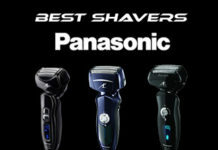 You will find most of the latest rotary shavers with 3 separate shaver’s head. The best way to use the rotary shaver is to move the shaver in a circular motion with a combination of both clockwise and anticlockwise movements. You may also add some up and down strokes so that you are able to capture most of the hairs on your face that have different growth directions. 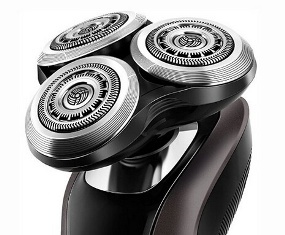 When using a rotary shaver, there is no need to use extra pressure since the rotary shavers are already made to give you closer shave even if you have heavy or thick facial hair. If you press harder with the rotary shaver you might get some irritation or cuts on your skin. It is recommended not to use pressure while using a rotary shaver. However, the foil shavers are a bit different and you may use pressure to get a closer shave. All sorts of shavers require proper cleaning especially if you are using shaving gels or creams. Therefore, whether it’s a manual, foil or rotary shaver it is highly recommended to clean it after each use for both performance and hygiene purposes. Every individual has a different skin type and even after going through all the tips and tricks mentioned above on how to use an electric razor, you might need to do some experiments on your own as well to get the close and irritation free shave. Whenever you try out something new, always go slow and start small in order to stay safe. Well said however I would also add that after the shave it’s also good practice to apply some type of moisturizer which will help soothe the shaved area. Thanks for the article, I never realised that waking up and immediately shaving was a bad idea, my shaving routine is about to change thanks to you!